This study is intended for those who have an intuition that God wants LGBTQ people welcomed into the church, that God accepts their marriages and families. The central themes of the Bible support full inclusion. 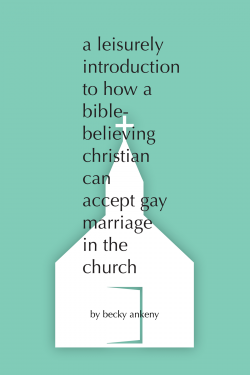 This study is a semi-systematic approach to explaining biblical support for those affirming gay marriage and full participation in the life of the church.